If you were injured in an accident in the Homestead area, then your closest emergency medical facility is Homestead Hospital. But getting medical care after an accident is only the first step. If your accident was caused by the negligence of another, then you at the very beginning of journey to make sure that the responsible party is held accountable. One of the best ways to do this is to find the best Homestead personal injury lawyer that you can locate. In the end, your success will likely depend on the team of professionals you assemble and rely on to see you through this process. So, call our Homestead accident lawyers at (305) 285-1115 for your free consultation today. In 1940, Dr. James Archer Smith opened a small hospital in Homestead to serve the community. Over the years, it was simply known as Archer Hospital. Eventually it was merged into the Baptist Health South Florida network. 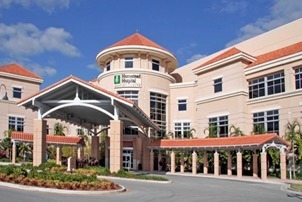 In May 2007, the new Homestead Hospital was opened. It cost approximately $135 million and it is now a 142-bed modern facility. In 2015, Homestead Hospital counted over 98,000 emergency room visits and 1361 outpatient surgeries. It had more than 10,000 admissions and over 1500 births. Homestead Hospital had a 1239/411 employee to physician ratio. At the Wolfson Law Firm, our Homestead Hospital injury attorneys have a long history of helping the community. In fact, our lawyers have been helping personal injury victims for more than 50 years. We know what to do and how to help you after your accident. We can answer your questions and help you get the justice and compensation you deserve after your accident. We will work with the appropriate experts to make sure that we identify all potential defendants. Once we have placed all parties on notice we will set strict deadlines and hold the insurance company accountable. If the insurance company fails to make a fair settlement offer on your case, we will file a lawsuit on your behalf and if necessary proceed to trial with you. We are committed to providing you with a professional, responsive and aggressive representation. Our Miami personal injury lawyers and Homestead wrongful death attorneys serve all of South Florida including the towns and communities of Florida City, Homestead, Leisure City, Kendall, Key Largo, Redlands, Naranja, Princeton, Goulds, Silver Palm, Cutler Bay, Kendale Lakes, The Hammocks, Quail Heights and Palmetto Bay. Call us today for your no obligation, free and confidential consultation at (305) 285-1115 and let’s get to work on your case!